Sherborne Classic and Supercar Show at Sherborne Castle is one of our biggest fundraisers of the year. Not only that but it is one of the biggest events of its kind in the West Country. 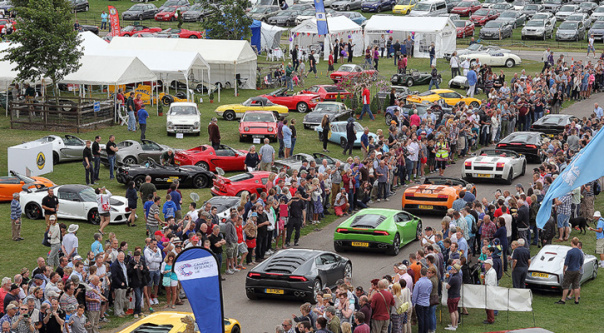 This really is an event for the whole family, as well as over 2,000 classic and supercars on display, we have a Land Rover 70 years celebration parade, Pistonhead Members Tour, a rally car parade, and the Charterhouse Auction on site. We have “Little Landies” for the children, the Internationally famous ‘World Rally Car’ simulator, Slot car racing, a large catering village, live music and children’s entertainment, and over 150 – trade, craft and autojumble stands. And in this lovely summer weather why not have a picnic on the East Lawn where, during the afternoon we will also be showing the Wimbledon Final and the World Cup Final on large screen TV’s. Help Sherborne Charity Hidden Needs Trust become Sainsbury Charity of the Year. Will we see the last case of polio this year? 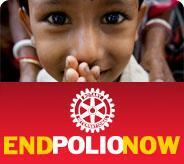 Rotary has been at the forefront of the campaign to eradicate polio since 1988, and since 2013 the Bill & Melinda Gates Foundation has given 2 USD for every 1USD which Rotarians give to the End Polio Now campaign. This campaign has enabled 2.5 billion children to be vaccinated globally. Funds raised in Sherborne from SHIFF 2017, our Sherborne International Film Festival, are being donated to this campaign as we are so close to eradicating polio from the world. We don’t only give money to this campaign, Rotarians voluntarily given their time to take part in national immunisation days, and I myself went to India to Utter Pradesh to do just that. I learned so much and we helped to raise awareness of the important of vaccination in the population. So what good has all this fundraising done? So far there have only been 11 cases of wild polio in the whole world in 2018, but that is still 11 too many. The total for the whole of 2017 was just 22, and the high season for infections is passing. Could 2018 be the last year we will see polio anywhere in the world. So close! We will be in the information tent as the Sheborne Classic and Supercar Show so come along and find out about our club and which local charities will be benefiting from the show this year. Previous Entry Week 1 – 2nd July 2018 – the beginning of the Rotary year……..
Next Entry Week 3 – It’s all about the Show!